result in stress or indecisiveness. 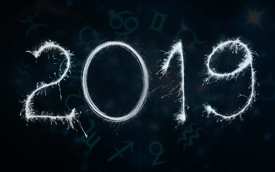 Your 2019 horoscope suggests you remain patient now and take carefully calculated decisions. Retrograding of Saturn as well as Jupiter at the end of April seems to affect your financial stability to some extent. Your demands may increase now and you would have to work harder to get them fulfilled. 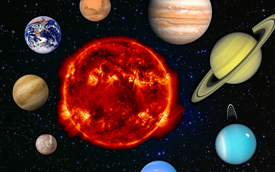 From 22nd June, debilitated Mars transits your 6th house. Be patient and calm. You should avoid getting involved in clashes or arguments with anyone now. 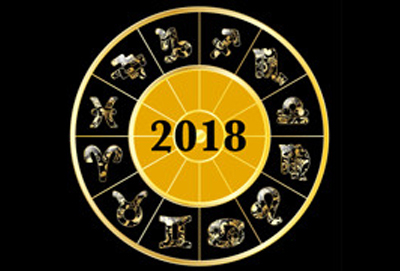 The Aquarius 2019 horoscope depicts a period of confusion for students and they should focus on their studies for better results. Spend your time wisely and follow a strict study schedule. Saturn will be direct from 18th September 2019. Income seems to be stable now and expenses appear under control. From 5th November, Jupiter transits Sagittarius along with Saturn and Ketu. You may be involved in a research now. The Aquarius horoscope 2019 shows Jupiter transiting Scorpio till 30th March 2019 in your 8th house. From 30th March 2019 to 22nd April 2019, it will move into Sagittarius and then again, from 22nd April 2019 to 5th November 2019, it will transit Scorpio.Jupiter retrogrades from 10th April 2019 to 11th August 2019. Aquarius, Saturn is transiting your 11th house in Sagittarius for the entire 2019 and will retrograde from 30th April 2019 to 18th September 2019. As the year begins, Rahu is transiting Cancer. From 7th March, it moves into Gemini in your 5th house for the rest of 2019. Ketu transits your 11th house from 7th March in Sagittarius. Mars transits your 2nd house in Pisces as 2019 starts. The Aquarius career horoscope 2019 looks good mostly. Work related hard work and sincere efforts would eventually bring you the desired success. Your career is likely to climb new heights in 2019. A new work or business would see profitable start and you may plan to work in a partnership. Investments in business seem favorable till April 2019. Younger siblings or friends would help you financially with a new work project. Some delays in payments are depicted after May, yet it would be profitable for you, Aquarius. Around mid-2019, all your work related wishes would fulfill. Aquarius 2019 horoscope shows new work offers and opportunities from September 2019 onwards and you should make sure you work on your own terms. Job related confusion might prevail till March and you should avoid taking an important decision in this time. As 2019 begins, any ongoing issues with coworkers would be resolved. New job offers with desired salary and position would come to you after May. Strictly stay away from laziness at work. Be careful about your job around June 2019, Aquarius, as someone might cheat you. Things seem stable after September with chances of new projects and appreciation from boss. 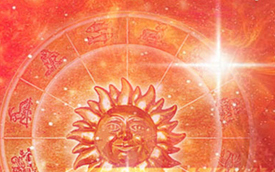 Financially, the 2019 Aquarius horoscope speaks of a variable period. Some uncertainties are likely to keep you confused.Control your expenses and spend wisely. A salary raise around the start of 2019 would improve your financial condition and help you repay an old loan. An unexpected expenditure is possible on a vehicle during March. 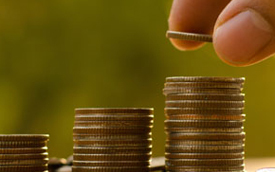 After June, an ongoing money related matter would be finalized that would be a relief for you. A govt. bank or a friend would help you get the needed money for an important work related investment. The year looks favorable for land related investments and chances are you may purchase a house in 2019.The 2019 Aquarius horoscope indicates expenses on a vehicle this year. Delay is possible while receiving a payment, though things would proceed smoothly for you. You may benefit from parental property. A financial profit seems likely from your mother. Foreign trips might add to your expenses. You may have to spend unexpectedly on children. Aquarius natives, your 2019 horoscope suggests you stop being secretive about your feelings and openly express your love to your sweetheart in 2019. Planning surprise gifts would further ensure your lover that you care for them. During March, a money related issue might spoil your relation with your partner. If single, chances of meeting a potential partner seem strong around mid-2019. 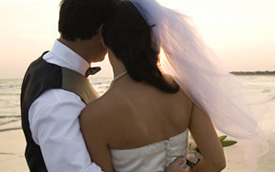 Propose to them timely and then wait patiently, as a positive response may take some time. After August, your love life seems to flourish and any ongoing issues would be resolved with effectively discussing them. Marriage life seems peaceful, Aquarius. Your 2019 horoscope suggests you patiently handle your partner’s emotional impulses. Financial help from your spouse would help ease your pressure. Take care of your partner’s health after August 2019. 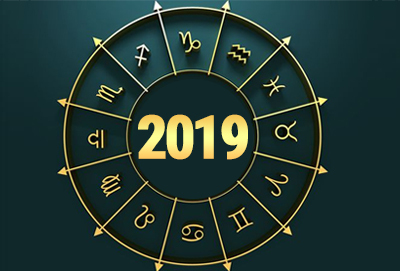 Health wise, 2019 horoscope brings mixed results for you. As the year begins, you might face an undetectable ailment that could stress you.Relief is likely after April. Drive carefully, as an accident is possible after June. Stay alert around water bodies. Take care of your parents’ health, as some issues are possible after September. Things will mostly be fine by the end of 2019. 2019 seems to start with a busy schedule of traveling for you, Aquarius. Pleasure trips would add to your expenses. After March, chances of a pilgrimage with your parents look strong. Work related travels around mid-2019 would take you abroad and prove beneficial, though payments might face delays. Frequent short trips are likely with children. Near the end of 2019, you may go abroad with your children for their studies. This year brings new opportunities to celebrate for your family, Aquarius. A religious event is quite likely as 2019 starts. New chances of work would lead to celebrations on the domestic front. From June onwards, a party is indicated. The Aquarius 2019 horoscope speaks of a possible short trip after September with elder siblings. Take care of your parents’ health near the end of 2019. 2019 seems to open new doors of opportunities for your children. Their outlook towards studies looks good and chances are they will get admission in a school or college of their choice. Aquarius, their nature looks cordial and plans of traveling with friends are likely. Odds are in their favor to grab a job in the line of their education in 2019. Chances of rejoining an incomplete course are on the cards and it would be a beneficial decision.